Things you should pay attention, when hiring a photographer and videographer. Planning a wedding at a distance is very difficult, because many times you do not personally know the photographer, florist, DJ, videographers, even if you the wedding planer of the Hotel (in the case of the Riviera Maya hotels or Cancun) to help you. This makes it very difficult to coordinate all these aspects. 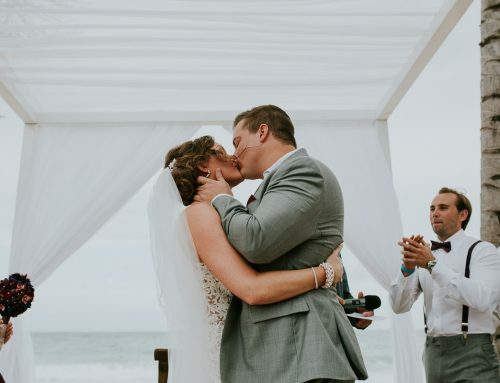 There are wedding coordinators in the Mayan Riviera and Canun who can do this for you, of course this is an extra cost that you do not want to add. Finally the objective of this article is not the cost, it is that You should pay attention when hiring a photographer and / or videographer. A bit of my, name is Roger and I am a videographer for more than 10 years, first of all, I would love to tell you a little about me, I am married, and I will share them My experience about the service we offer as videographers and other photographers. 1.- If you hire a photographer and videographer separately. If this is your case, it is very important that they meet by mail at least. Please ask them if they can share their phone & mail to agree on the day of your wedding. What is this, Not because I am a videographer, but usually photographers want the best picture of the couple, and often forget that it has 2 video cameras aimed at the couple at the time of the ceremony, then they begin to cross in front of the cameras, this ends up “messing up” the shots of the videographers. Take 5 minutes to talk with your photographer if it is intrusive(Ask Him please). We have had the experience of working with Amazing photographers who care about the Video and others not so well known that they do not care more than their work. It is a bit hard comment, but it really is important for you and the final result. 3.- You care more about the video highlight or the Photo? It is a very complicated issue and I do not have the answer, this is important to analyze between you as a couple. If the photography is important for you, then the photographer at the time of the session will take as long as possible, otherwise it would be a balance. 4.- The lighting for the ceremony. A really serious topic. As a photographer or videographers we use flashes or lights, but even so, we need the place of your ceremony to be as iluminated as possible so that it is pleasant for the photographs and clear for the video as well. Please note that if dinner will be at the beach, remember to ask for extra lighting to your Hotel, whe the dinner will serve you. It is complicated to eat without seeing what you eat. 5.- No cellphones in your Ceremony! Please tell your guests that you will have a Professional Photographer and Videographer .. and that they enjoy the wedding. We have lost a lot of material because we can not eliminate the guests with Cellular in hand. It is something serious. I have touched some important ones but they are not all. I hope you enjoyed it, if you have any questions, please let me know at info@mylovefilms.com (Roger), I will gladly answer you, even if you do not hire us :).